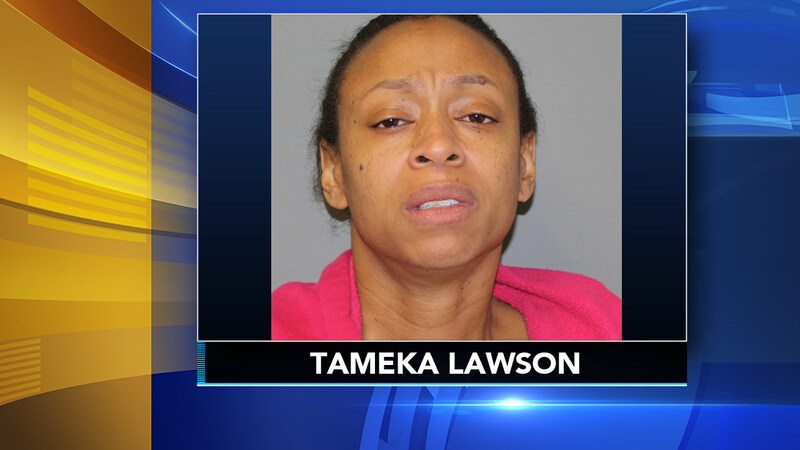 MOUNT LAUREL, N.J. (WPVI) -- A Mount Laurel, New Jersey woman has been charged following a crash that left her husband dead. Officials said on Friday that Temeka Lawson, 37, was arrested at her home and charged with vehicular homicide in the death of 38-year-old Jamar Rentie. The charges came after investigators received the results of toxicology tests on blood drawn from Lawson after the crash. The crash happened around 11:15 p.m. on November 12. According to the Burlington County prosecutor's office, Rentie was a front seat passenger in a vehicle that veered from the road, went airborne, and hit a utility pole. The vehicle then overturned in a wooded area. Rentie was pronounced dead at the scene, while Lawson was evaluated and released from the hospital.